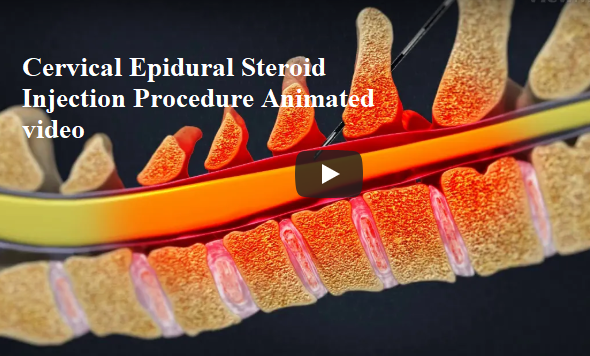 What is a Cervical Epidural Steroid Injection Procedure? This is an injection into a space (epidural space) of the spine next to the cervical spinal cord and exiting nerve(s) that are the likely cause of your head, neck, shoulder, and/or arm pain. Why is a Cervical Epidural Steroid Injection Procedure helpful? It is helpful in the diagnosis and treatment of your head, neck, shoulder and/or arm pain, which is likely due to a disorder of your cervical spinal cord and exiting nerve(s). One medication is used for the injection: a long-acting anti-inflammatory steroid agent. At first, you may or may not experience temporary pain relief after the injection. Then, after 48 to 72 hours, you will likely experience pain relief after the injection due to the effects of the long anti-inflammatory steroid agent.